Maple Valley became Amelia Bentley's haven after her heart and her dreams of a family were shattered. But her new life as a newspaper editor is shaken when the small-town paper is in danger of closing. Her one hope: A lead on an intriguing story that just might impress the new publisher... if only she knew who he was. After his biggest campaign success yet, widowed speechwriter Logan Walker now has the chance of a lifetime- a spot on a presidential campaign. But his plans are interrupted when he finds out he's inherited his hometown newspaper. He travels home intent on selling the paper and spending some much-needed time with his young daughter before making the leap into national politics. 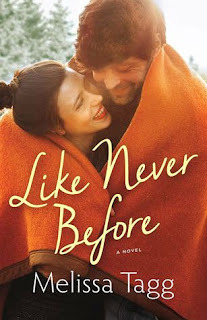 Once again I was happy to be back in Maple Valley with the lovable Walker family, but found myself missing a connection with the main characters and their romance. The plot of the story moves along nicely and I enjoyed getting to know Amelia's tenacious personality and more members of the tight-knit community. She and Logan have a solid friendship and fun banter, but when it came to chemistry, I felt it was lacking that tension and emotion- kind of like watching an interesting movie without the musical soundtrack that really gets you feeling. I'm still looking forward to reading more in the series, especially about Walker siblings Reagan and Beckett. I enjoyed getting to know the family we were introduced to in the free prequel novella to start off the Walker Family series, Three Little Words. The strong family theme in a contemporary setting is one of my favorite trends in a series. The small town community is easy to envision and provides a great secondary cast of characters. Each member of the family plays a role in subtly influencing Colton and Kate while they are temporarily staying in Maple Valley to help in the wake of a natural disaster. The circumstances that they find themselves in and their opportunity to re-imagine their futures are the focus of the novel, and I was disappointed to find that while reading I always felt aloof from the romantic emotions of the characters- it was more observing rather than feeling along with them. The light-hearted nature of the writing might have played a part in that, it made the story fun but didn't delve deeper. Kate and Colton did friendship so well and I loved their banter, but missed the romantic tension and chemistry. Overall this was a pleasant reading experience and I look forward to reading more of the series. 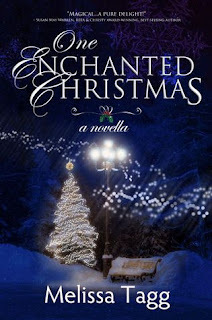 What a fun novella for the holidays! 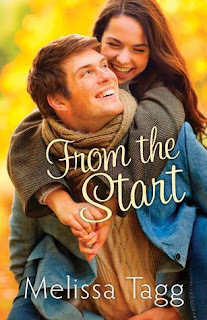 I loved the cute, quippy narration interjected by the author (reminded me of Lorelai Gilmore); it was a creative way to move forward in scenes. I think I would only enjoy it in a novella though, and she did taper it off partway through which was good to not break up the pacing of the story during the best parts. The dynamics of Drew's family were interesting as they shifted and were impacted by transition. I enjoyed the contrast between brooding Drew and lighthearted Maren- they balanced each other out and brought out the best in each other. Highly recommend! 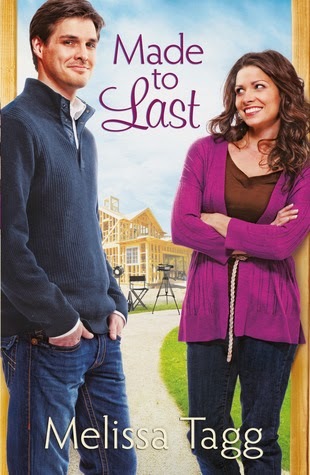 Free today at Amazon: Made to Last by Melissa Tagg! I gave this one 4 stars- read my review here. Miranda Woodruff, star of the homebuilding show "From the Ground Up," will do anything to keep the job she loves. Due to a painful broken engagement and a faith she's mostly forgotten, she's let her entire identity become wrapped up in the Miranda everyone sees onscreen. So when she receives news that the network might cancel her program, she must do the very thing she fears most: let the spotlight shine on her closely guarded personal life. The only problem? She's been living a lie--letting viewers believe she's married--and now she's called upon to play wife to a sweet, if a bit goofy, pretend husband to boost ratings. 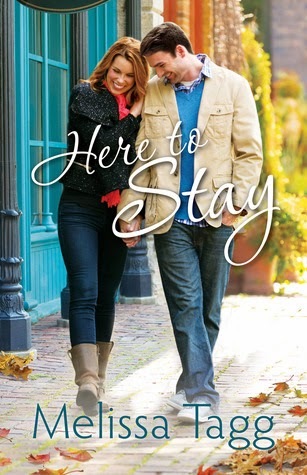 When Miranda's former fiance suddenly appears on the scene again, she doubts her life could get more complicated. Juggling three guys, an on-the-rocks television show, and the potential exposure of her deception is way more than she bargained for. Can the woman who makes things look so good onscreen admit it's time to tell the truth about who she is? And if she does, will the life Miranda's built come crashing down just as she's finally found a love to last? The entire time I was reading this book I kept thinking, "How on earth is she going to get herself out of this?!" It's one doozy of a pickle. The dialogue throughout the book is great, as well as the developing relationship between Miranda and Matthew. The main thing that bothered me was how lightly she treated her moral decisions- living with her past boyfriend and lying about her pretend husband. She acknowledges that they are wrong, but doesn't let that stop her from doing what she wants to get what she wants. The story is well-written, and eventually Miranda faces her regrets and makes things right.